The Chesapeake Bay is approximately 200 miles long, stretching from Havre de Grace, MD, to Virginia Beach, VA. It is the largest of more than 100 estuaries in the United States and the third largest in the world. The Chesapeake watershed comprises about 64,000 square miles and includes parts of six states: Delaware, Maryland, New York, Pennsylvania, Virginia, and West Virginia, and the District of Columbia. The Bay and its tidal tributaries encompass more than 11,684 miles of shoreline, more than the entire length of the U.S. West Coast. In a space like that, the Chesapeake Bay boating possibilities are endless. 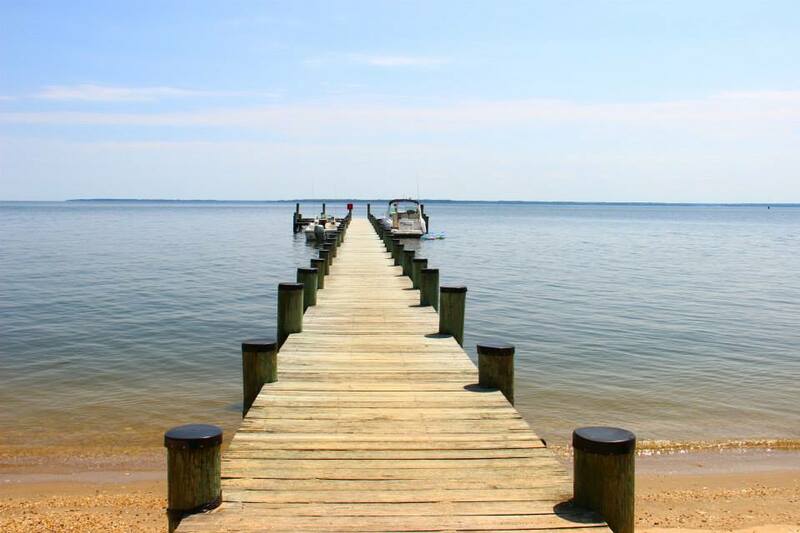 On the Chesapeake Bay, the boating possibilities are endless. First things first: both Maryland and Virginia require a boating license to operate a boat on the Chesapeake Bay. Maryland law requires that anyone born on or after July 1, 1972, must have a Certificate of Boating Safety Education in order to operate a mechanically propelled vessel on Maryland waters. You can take the class online at boat-ed.com/maryland, or you can find a class through your local power squadron. In Virginia, beginning July 1, 2016, all motorboat operators of 10 hp or greater, regardless of age, and all PWC operators 14 years old or older must take a boating safety course. No one under the age of 14 may operate a PWC. Operators 14 and 15 years old must show proof of completing education. Click to boat-ed.com/virginia to take the class online. What Powerboat is Right For You? There are so many powerboats to choose from, and depending on the type of boating you wish to do, not every type of boat will fit the mold. Here are some of the options, courtesy of BoatU.S. (click on the link for descriptions and photos of each boat). There are other times of boats available that don't require a trip to the fuel dock. Paddleboards, kayaks, canoes, and other paddle craft can be a great way to get out and explore the tributaries of the Bay, and get a workout while you're at it. There are a multitude of rental agencies around the Bay, as well as how-to classes and educational paddle tours to get your feet wet in the sport. There is also a growing group of kayak anglers on the Bay. Click to fishtalkmag.com/tag/kayak-fishing to learn more. With so much shoreline to explore, it can be dizzying trying to choose a location to start. Lucky for you, we have a massive library of destination articles around the Bay that we can personally vouch for. Click to our See the Bay section to get started. Unless you live on the water, you'll need to either find a marina to keep your boat, or if it's small enough, you can keep it in your driveway on a trailer. Either way, you're going to want to know where you can launch your boat and what amenities are available at marinas near you. Click to our interactive Marinas page for a list of amenities, a map of marinas around the Bay, and if you so choose, you can even book a slip at select marinas directly through Snag a Slip from our website. No matter the season, the Chesapeake Bay is an anglers playground. If you're new to fishing or simply want to go out with an experienced captain who can put you directly in the action, look no further than our Charter Fishing Guide, organized by Bay regions. Ready to jump right in and become a boat owner? Check out our library of comprehensive Boat Reviews, then click to our Boats for Sale page to start shopping for that perfect new-to-you boat. Good luck!